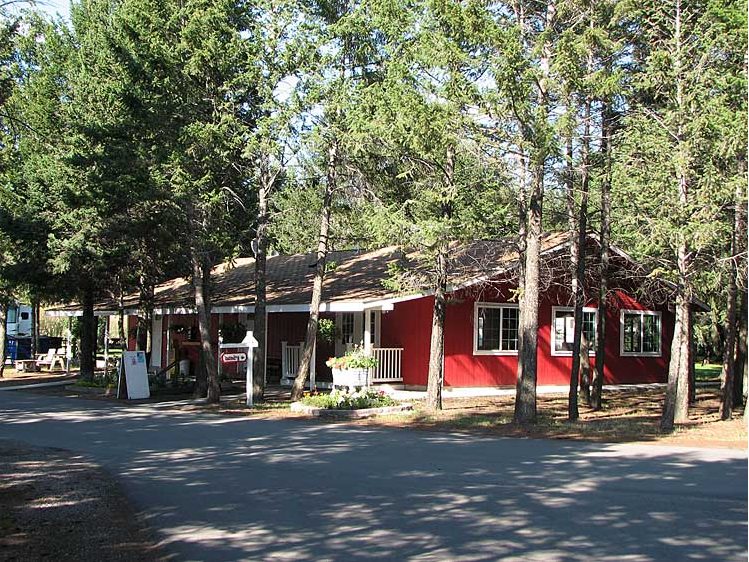 Jim and Mary’s RV Park is in a beautiful setting with large mature trees and beautiful flowers scattered throughout the campground! The campground has free cable tv and wireless Internet through out the park. Restrooms, showers facilities and laundry room are clean and well maintained. Jim and Mary’s RV Park is located 1 mile north of Exit 96 off of I-90, within minutes of downtown Missoula. They are midway between Yellowstone and Glacier National Parks and within a short drive of some of the greatest fishing in Montana. They are open all year. We enjoyed our stay – we will camp there again. Great park! We travel full time and this is by far the best maintained park we have seen this year. Beautiful trees grass and flowers. Super clean showers and restrooms. Nice management. One possible negative was the nearby railroad and highway. It did not bother us but it might others. We stayed here in a 42 foot fifth wheel and the pull through was long enough for trailer and truck. We stay here a 4 nights in July 2104. Loved the park and the helpful office staff. Very clean, beautiful flowers throughout the park. Nice size sites, pull through so and back in. Would definitely stay here again.